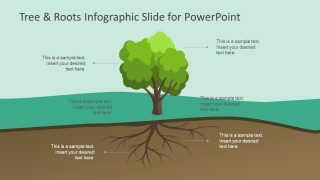 The Tree & Roots Infographic Slide for PowerPoint is a one-slide template for business and academic presentations. The tree and roots are a metaphor for growth, development, progress, and prosperity. Therefore, this slide could demonstrate business progress and growth. 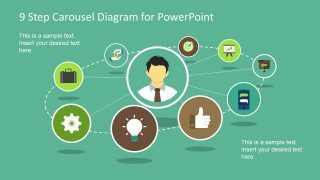 It can also work as label diagram which is ideal for learning presentations. The teachers can use this tree and root label diagram design to explain scientific or management models. 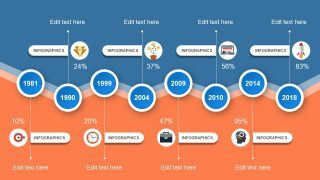 The tree and roots infographic template is a flat vector collection of PowerPoint shapes. It illustrates an original tree on the ground with roots under the earth surface. Further, the middle section of background shows green land area while blue section depicts sky. 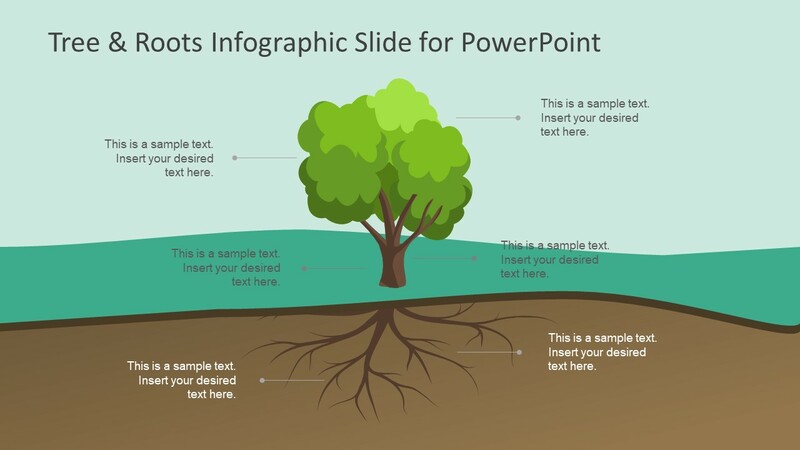 The Tree & Roots Infographic Slide for PowerPoint can demonstrate maturity in the process. As the branches of tree grow, roots also grow. Here, branches portray progress/growth whereas, roots define strong basis of a concept. The tree & roots diagram is six segment PowerPoint with line pointing to the tree and its roots. There are text placeholders to define labels or add information. 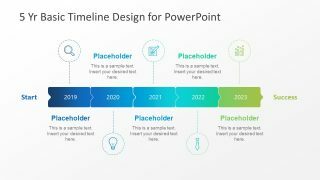 The template slide enables users to change colors, size, and background of PowerPoint. This slide can benefit management staff to develop strategies and identify areas of improvement. This slide of tree label diagram can present various concepts like Project growth, family tree, organizational chart etc. But another application could be cause-effect or decision tree diagram. However, this slide can benefit the young students in learning about the parts of plants. 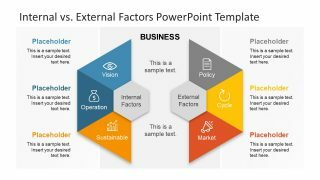 Because this diagram shows infographic shapes which assist in engaging students with visual graphics.